Bullying? Dallis Parker knows all too well what that means. Dallis doesn’t make friends easily. She walks with a squeaky leg brace and struggles with rejection, particularly from Jane Dowling and Courtney Fulmer, students and fellow members of the 4-H club. But a Christian African-American girl, Sheila Elliot, befriends Dallis and invites her to go on a camping trip with a church youth group to the Pocono Mountains. Dallis is less than enthused until she hears that Matthew Spencer, a handsome eighth grader is going too. 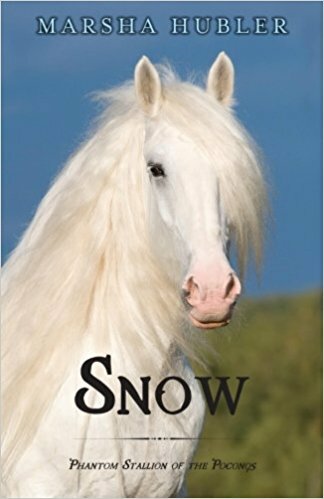 And after learning about wild Mustangs in the Poconos led by a legendary white stallion named Snow, Dallis must try to see the mystery horse for herself. In a strange encounter, she does meet Snow face to face for a few fleeting moments, and her life is changed forever.